Earlier this week, I read an interesting story by Frank Seravalli on TSN.ca on Mike Babcock, Phil Kessel and the Toronto Maple Leafs, which is a good read for anything interested in how coaches think. 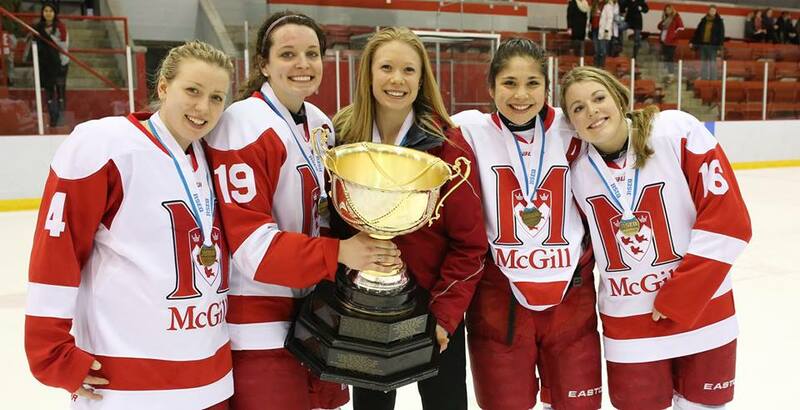 For me, it also illustrate another way analytics could be employed to make a coach’s life a lot easier and take out some of the guesswork inherent in the job. It was not too surprising to hear that Babcock was already thinking about how to get the most out of his team this season while on vacation, but I am very curious about his thought process behind how best to replace Phil Kessel. But before we start thinking about how to replace Phil Kessel (or his production in aggregate), we need to start thinking about how we are to measure a Phil Kessel’s offensive contribution. As some of you know, the NHL tracked offensive zone time for two seasons, 2000-01 and 2001-02, then inexplicably stopped. As some of you also know, I have a lot of historical game data, and that includes all the zone time from these seasons. Taking those performances, and focusing on the first two periods to avoid any major score effects (or “protecting the lead“), I charted every single game alongside 2pS%, the historical possession metric. It’s pretty clear that the spread in shots-for in these games was quite a bit greater than the spread in zone times. Curious, I decided to do a distribution plot, the one that you see leading this piece (2pS% and offensive zone time % in the x-axis, percentage of total performances in the y-axis). 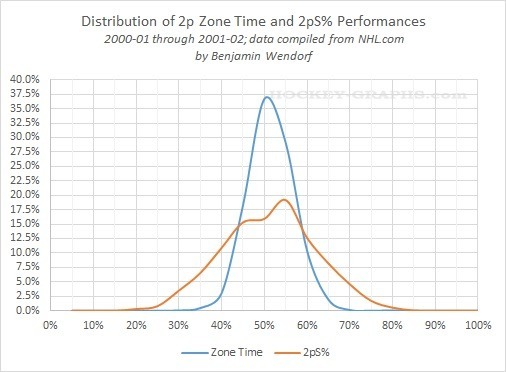 Zone time, or generally speaking the flow of the game, has a tighter, much more normal distribution that the distribution of shots. What does this mean? This means that things like how you enter the zone (zone entries), and how you control the puck in the zone (possession, or passing) can make a pretty big difference in how you generate scoring opportunities. Note: The data I used for these quick graphs were from home team’s perspective, hence why our distribution was a bit north of 50. Keeping that in mind, the 60-40 Rule we established here a year ago looks pretty good for assessing game flow, but there are ways within that flow that can tip the scale.